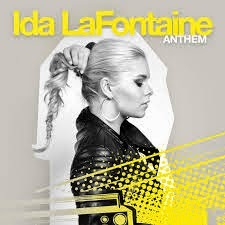 MELISMATIC: HEAR THIS: Ida LaFontaine Gives Us An "Anthem"
HEAR THIS: Ida LaFontaine Gives Us An "Anthem"
I think I might need to move to Sweden. January 2015 gave us Zara Larsson and now I have yet another proper popstar in the making to rave about: Ms. Ida LaFontaine. Like Zara, Ida is no rookie when it comes to making quality pop. She's sung with Mans Zelmerlov, was mentored by Danny Saucedo, and signed her first label contract when she was just 15 years old. Fast forward a few yeas and Ida is now older and wiser, now signed with the Swedish branch of Universal Music Group and prepping her upcoming album. First out the gate is the stellar pop single that is "Anthem", an appropriate title since lyrically it is the anthem of any pop music fan. The song is the epitome of meta as Ida waxes poetic on how "everybody needs an anthem...like your heart's a kickdrum" -- a happy feeling that "Anthem" (the song) eagerly provides to the listener. The beat is unrelenting while her vocal performance walks the line from initially quite melancholy to full-fledged joyful in the chorus. The video at times echos the carefree realness that helped propel Meghan Trainor here in the US. Take a listen and get your anthem on below. PS - There's an equally lovely "acoustic version" that shows off just how fantastic Ida's voice really is available here.